I'm Robin, a full-time secretary by day, and a gardening enthusiast mostly after work and on weekends. Working full-time takes up a good part of my week so I knew if I wanted to set up and maintain a gardening area in our yard I would need to figure out ways to do things quickly 'n easily. Talking to other gardeners and reading a variety of gardening books helped me to find and gather many time-saving tips and techniques. ... and along with that area, there are now several other spaces of colorful blooms in different spots around our home also. You might say I've almost become a gardening addict. I am ever on the lookout for new flowers and plants to put in and around areas of our home. My husband tells me every year that there cannot possibly be any more room for another plant in our yard. Every year, though, I manage to pick out at least one new plant from the easy-to-grow, easy-to-care-for plants and flowers listed on this site and consider adding it to the garden areas. 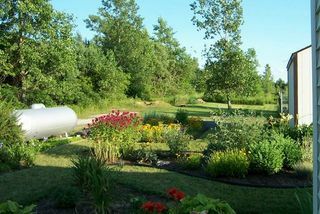 Feel free to drop me a line here in the QnE Garden and let me know what you're planting in your garden. I'd love to find out which colors you picked and which flowers or plants you decided to use in YOUR beautiful garden areas.